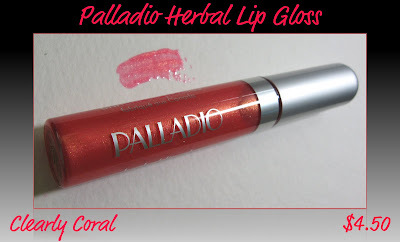 Clearly Coral Herbal Lip Gloss is a pink/coral shade that's filled with tiny gold shimmer The shimmer is very smooth and not annoying! I say that because some of my glosses with glitter in them are almost gritty in feeling. This gold glitter adds a delicate glistening appearance that looks nice on its own, or adds a touch of glitz and glamour over a darker lip product. This product contains .24 fl. oz. and has a sponge tip applicator. It's on the sheer side, but packs plenty of pigment to wear alone. I love this shade, and I think it's perfect for the summer months. The glitter or shimmer--I'm not sure what the proper term is when describing a lip gloss--is so fine, but it's quite abundant. I have some lip glosses that have glitter/shimmer in them that is too overpowering for my taste, but this one is perfect. This gloss reminds me of a MAC Lipglass as far as the pigmentation goes, but they're not at all sticky like the MAC product. This particular shade has no scent or flavor, and they wear like an average lip gloss, meaning that you'll need to re-apply it several times during the day to maintain the color. I checked out some of the other shades during my last visit to Sally Beauty, and the range of colors is fantastic. I saw several that looked very MAC-like in color, and I picked up Pink Pearl because it has the gold flecks also. I'm going to have to go back and take some of my Lipglasses so I can compare the shades! My verdict on this product is that it's a win all the way around. They're very reasonably priced, they have a nice texture, a variety of shades to choose from, and my lips feel soft and moisturized long after the color is gone. Clearly Coral is a gorgeous shade that works well for me on casual days as well as days when I want a more polished look. Have you tried these yet? What did you think of them? If you have, let me know what some of your favorite shades are! *Product featured was furnished by the manufacturer. 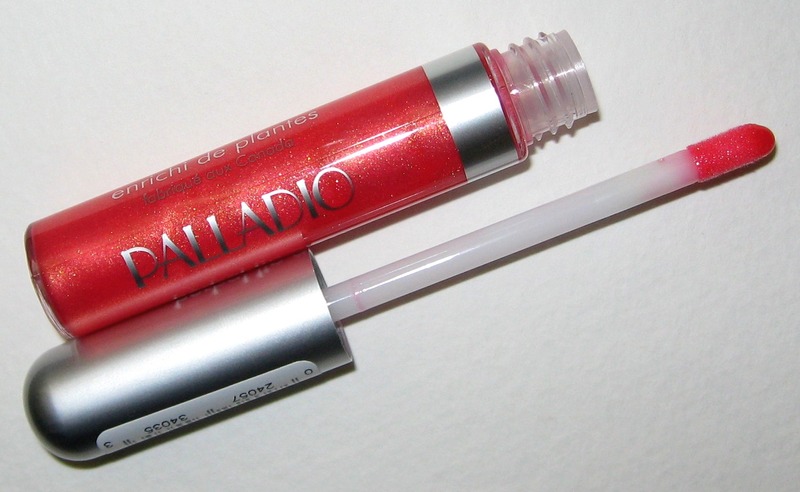 This lip gloss looks exactly like what I would enjoy. I do a lot with my eye makeup so a simple gloss with a little sparkle is perfect! I wish Sally would have more sales. I realize this isn't that expensive, but I'm a budget shopper and usually wait for sales and coupons for everything and it seems like Sally just doesn't have many sales on their makeup lines. Although they almost always have at least one or two clearanced items that I have to score! That lip gloss looks amazing. I love the fine glitter. I'm just a pure glitter gal.